If it is summertime, you can be pretty sure that most New Jersey residents have plans to make it to the beach. And with so many miles of wonderful coastline, why wouldn’t they? Whether it’s for a day trip or a whole week, New Jersey beaches are prime locations for summer fun in our great outdoors. This poll was created in 2008 as the New Jersey’s Top Ten Beaches Survey to encourage stewardship and pride in the state’s beaches while promoting a little healthy competition between New Jersey’s favorite beach towns. It is a way to celebrate everything there is to love about the Jersey Shore. 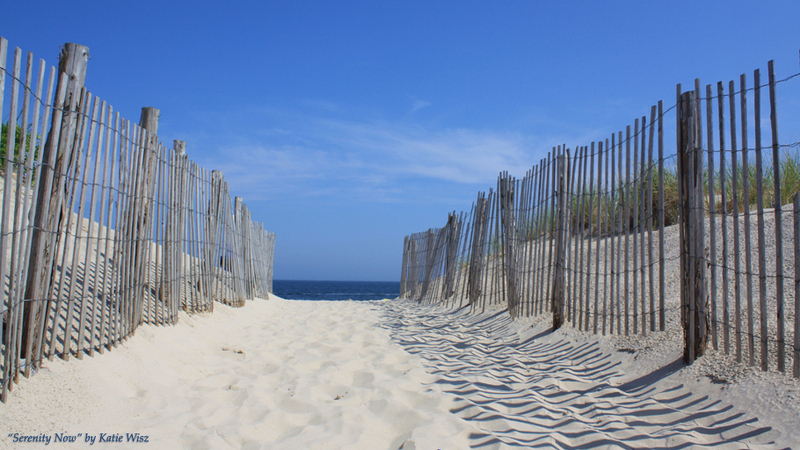 We’ve conducted this poll since 2008 to call attention to New Jersey’s amazing beaches. Over time we’ve learned a thing or two — mostly that New Jerseyans are passionate about all the beaches up and down our coast. So, in order to better recognize every inch of our wonderful coastline, this year we will recognize a number one beach in each of New Jersey’s four coastal counties as well as a favorite beach overall. This year after nearly 10,000 votes cast in a public poll, New Jersey Sea Grant Consortium revealed the winners in Ocean City, the defending champion of the poll. Voting for New Jersey’s Favorite Beach is Now OPEN for 2017! Summer’s right around the corner, which means it’s time to cast your vote for New Jersey’s favorite beach! Pick your top choices NOW before the poll closes on June 9th, 2017! This year, fans get to choose their favorite local “hotspots” from a list of several popular beaches throughout four coastal counties – Atlantic, Cape May, Monmouth, and Ocean. 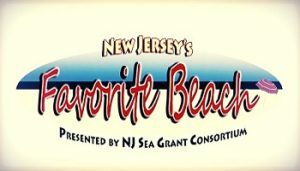 NJSGC will still announce the “overall favorite” beach later this summer. In 2008, the New Jersey’s Top Ten Beaches survey was created to encourage stewardship and pride in the state’s beaches while promoting a little healthy (and friendly) competition between New Jersey’s beloved beach towns. We invite you to join us in celebrating everything there is to love about the Jersey Shore! The contest has become a highlight of the Garden State’s summer festivities. During the spring and early summer, Jersey Shore enthusiasts are invited to cast a vote for their favorite beach communities throughout four different counties. The results of the survey were historically announced each year just before Memorial Day Weekend at the NJSGC’s State of the Shore Media Event, a premier gathering of coastal experts and state officials. In 2015, winners were instead revealed just before Independence Day, to encourage more voter participation during the Jersey Shore’s most popular time of the year. Check out the winners of the Top Ten Beaches title from 2008, 2009, 2010, 2011, 2012, 2014 and 2015. In 2013, in recognition of the devastating impacts of Superstorm Sandy, rivalries were put on hold and the survey focused instead on sharing images and memories of the Jersey Shore. Finally, in 2016 the “Top Ten” title was revised so that voters had more variety, taking into account the vast beauty of NJ’s wondrous coastline. With nearly 10,000 votes cast, the New Jersey Sea Grant Consortium revealed the winners in Ocean City last June. 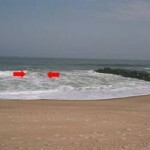 The two overall favorite beaches were longtime reigning champion Ocean City and Wildwood Crest. Be sure to share this year’s survey with family and friends, and stay tuned for the official results later this summer! Connect with NJSGC on social media for more updates. Thank you for your continued support! The National Sea Grant College Program has spent the last year recognizing its 50th anniversary. Each month, Sea Grant programs across the country have worked together to create content to highlight Sea Grant successes with a monthly theme. January’s theme was “K To Gray” education. 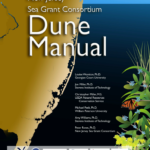 New Jersey Sea Grant Consortium’s education program holds a wide variety of programs directed towards advancing greater understanding and stewardship of our state’s marine and coastal resources. Collectively, these programs engage a large and diverse audience of learners. Our K-12 field trip program alone provides instruction to over 20,000 school children annually, taking them out of the classroom and onto the beaches, bays, and estuaries of New Jersey for active learning experiences. To highlight these programs, the Consortium contributed an article on everything from summer camp to underwater exploration to be featured on the National Sea Grant homepage. The Consortium is also featured in an interactive story map covering education programs across Sea Grant’s entire network of coastal and Great Lakes states. 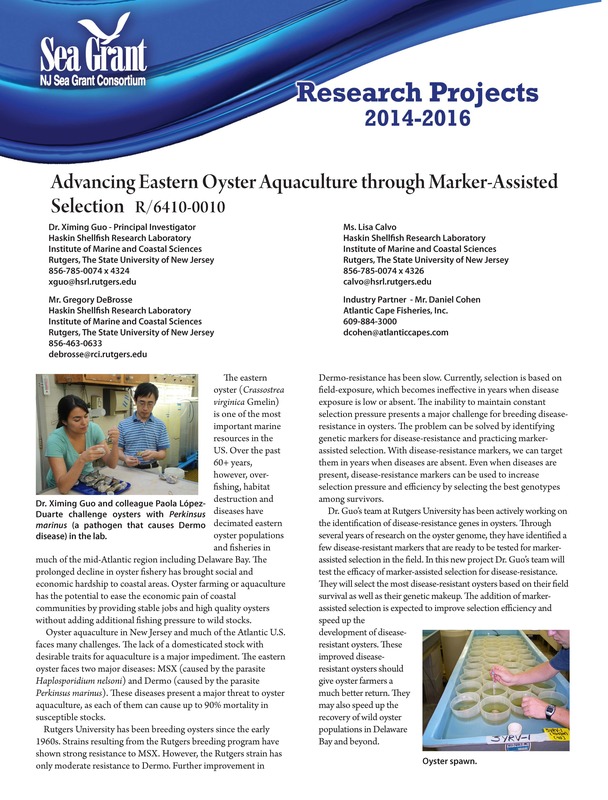 Check out the story map and read the article below to see how Sea Grant educators work in New Jersey and across the 33 other Sea Grant programs. 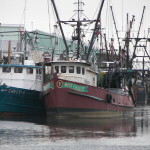 Sign up for our newsletter to stay up to date on everything at New Jersey Sea Grant Consortium! View the results of the 2017 New Jersey’s Favorite Beach poll here. The list below represents all research projects funded by the New Jersey Sea Grant Consortium from 1998 through 2010. If you’re interested in obtaining more information about a specific project and no link is available, please contact the researcher directly. For information about research projects funded prior to 1998, please contact NJSGC Communications at 732-872-1300 ext. 18.